We want to hear from our listeners. Your voices and words can help inspire and motivate others to support public radio and KCBX. We use testimonials on our website, in print, and on the air. By submitting a testimonial, in any form, you are agreeing to let KCBX use your message and/or voice in any way we deem fit. Our only objective is to promote KCBX to our audience with the goal of gaining new members and financial support. 1) Call the station at (805) 549-8855 during business hours and let us know that you wish to record a testimonial. We'll schedule a time for you to drop by the station and meet with a staff member who will handle the recording. 2) Call our feedback hotline at (805) 548-2244 and leave your message over the phone. Be sure you've thought about the comments you want to leave before calling. Look at "Testimonial Format and Questions" below to see what we're looking for. 2) You can also submit your own recorded testimonial. 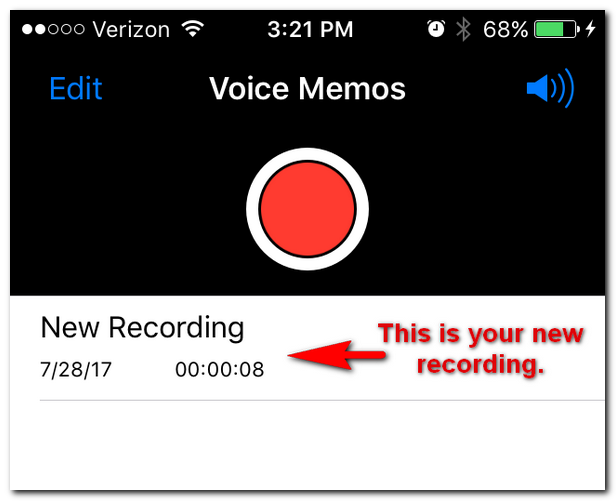 If you choose this option, you can use your own recording device to capture your testimonial. 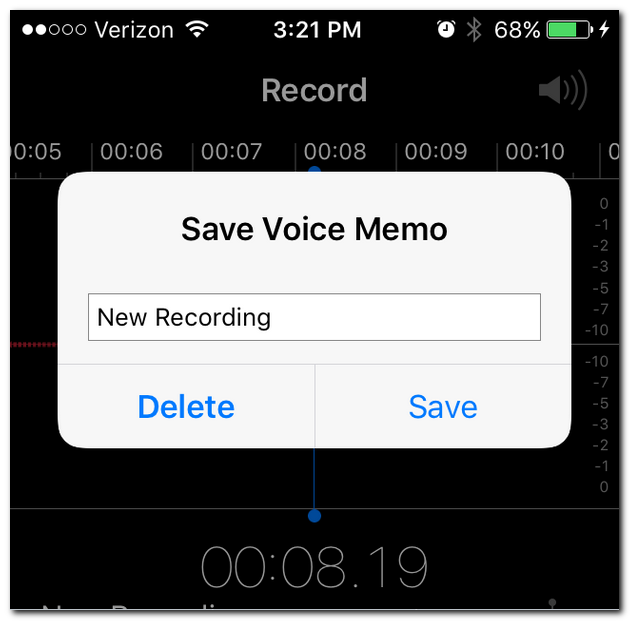 You can submit your recording on CD or as a computer file. For instructions on how to use your iPhone, click here. Drop your final recording by the station, or mail to KCBX, 4100 Vachell Lane, San Luis Obispo, CA 93401. Computer files can be emailed to us at interact@kcbx.org. "My name is John and I support KCBX Public Radio." "My name is John and I'm a sustaining member of KCBX Public Radio." Continue your recording by telling us how KCBX affects your life, why you think it's important to support public radio, and why you choose to be a sustaining member (if applicable). It's best to keep each thought separate and concise. Put a short pause between your ideas. 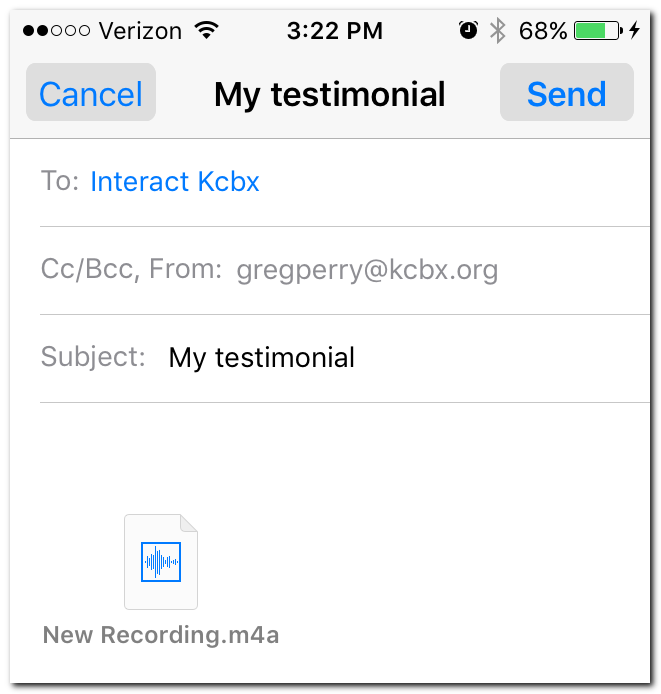 How to use your iPhone to record your testimonial. 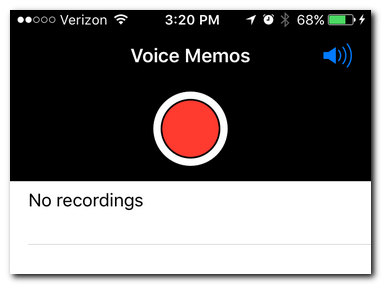 Your iPhone has a built-in Memo app that will record your voice. Find a quiet location (a clothes closet is best), start the app and press the record button. 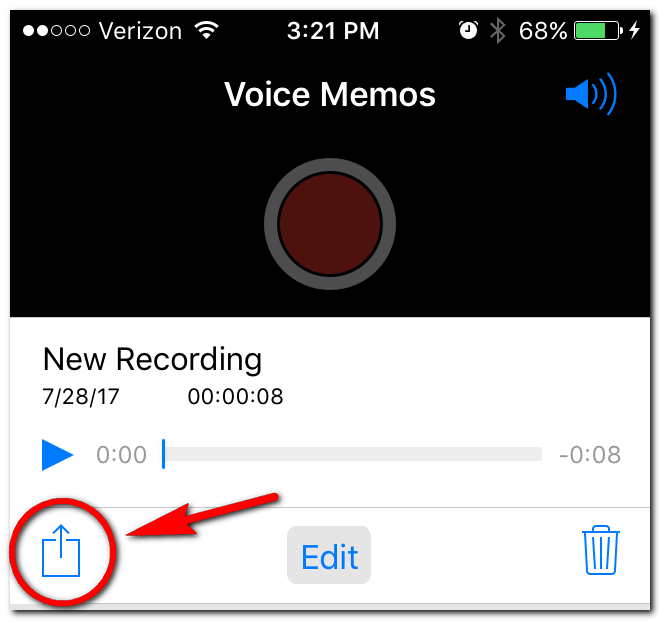 Press the Record button (red circle). Press the record button again to stop. Give your recording a name. 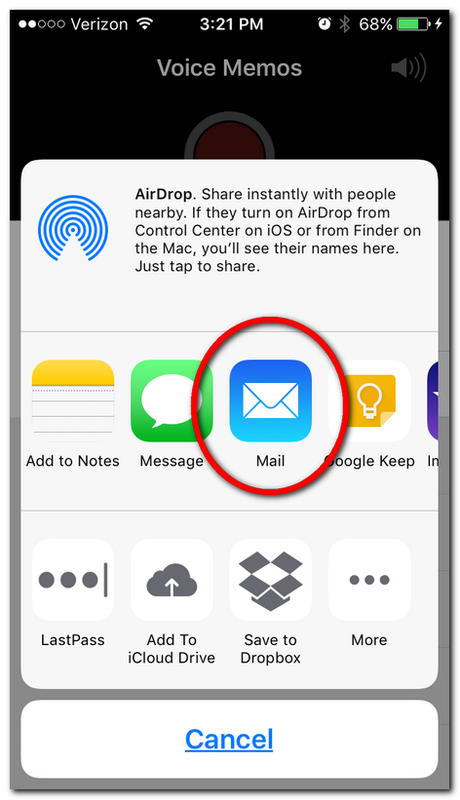 Find your mail app icon and press. Give your email the subject line "My Testimonial."